Born in 1942 in Little Rock, Arkansas, Gloria Ray Karlmark (CHEM ’65) is the granddaughter of a former slave and an Osage American Indian. Her father was educated by George Washington Carver and Booker T. Washington. Her mother held two university degrees and was the granddaughter of a plantation owner and a free black woman. Karlmark, at age 15, chose to attend Little Rock Central High School in 1957 and became known as one of the Little Rock Nine. The following year Arkansas’s governor closed the public schools in Little Rock. 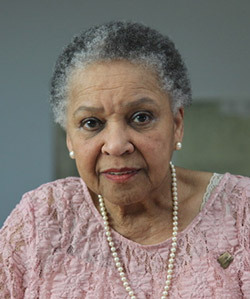 Karlmark and the other members of the Little Rock Nine have received a United States Congressional Gold Medal as well as numerous other awards, and a Little Rock Nine postage stamp and Desegregation in Education silver dollar were issued in their honor. After receiving her bachelor´s degree, Karlmark worked as a school teacher, laboratory assistant, programmer, and mathematician until husband Krister Karlmark (M.S. DSGN ’65)—who was once a professor at Illinois Tech’s Institute of Design—accepted a job in Sweden. There she joined IBM’s Nordic Laboratory and went on to learn Swedish at Stockholm University. After becoming a Swedish patent agent, she worked for IBM’s International Patent Operations for 11 years. She then spent 13 years with various divisions of Philips in industrial documentation and as a patent specialist. Karlmark also co-founded and served as editor-in-chief of Computers in Industry, an international journal. Karlmark will receive an honorary doctor of science, honoris causa, for outstanding contributions to the development of a more inclusive society. 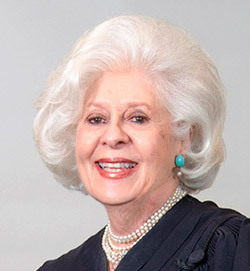 The Honorable Ilana D. Rovner (LAW ’66) joined the United States Attorney’s Office in Chicago in 1973 following a term as law clerk to the late James B. Parsons, judge of the Northern District of Illinois. There she became the first woman supervisor in the history of the office. As chief of the Public Protection Unit, she was responsible for all civil rights, consumer fraud, and voter fraud litigation in the Northern District. She also served as one of the chief trial attorneys in both of the landmark United States v. City of Chicago employment discrimination cases. In 1977 Rovner became deputy governor and legal counsel to former Illinois Governor James R. Thompson. She wrote the governor’s executive order banning sexual harassment in the workplace and oversaw the creation of the Governor’s Office for Interagency Cooperation and the new Department of Human Rights. She was appointed to the United States District Court for the Northern District of Illinois in 1984, and then became the first woman to be appointed to the United States Court of Appeals for the Seventh Circuit in 1992. In addition to many other awards and four previous honorary doctorate degrees, Rovner has received the Department of Justice’s Special Commendation Award and its Special Achievement Award. In 1992 the Chicago-Kent College of Law inaugurated the Ilana Diamond Rovner Program in Appellate Advocacy and Moot Court Competition. Additionally, the Ilana Diamond Rovner Scholarship was established by Chicago-Kent and the Decalogue Foundation in 1998. She will receive an honorary doctor of law, honoris causa, for outstanding contributions to the profession of law. 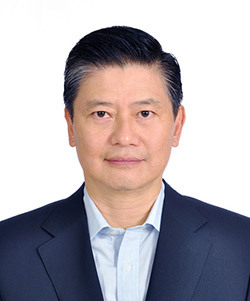 Victor Tsao (M.S. CS ’80) will provide the keynote address and receive an honorary doctor of engineering, honoris causa, for his outstanding contributions to the development of the home router. Tsao co-founded Linksys in 1988 and made significant contributions to its successful transformation and that of the entire home-networking market. He grew Linksys from a garage entrepreneurship to a home-networking leader. During the early expansion of Wi-Fi, Linksys changed the playbook on home internet sharing and created a new lifestyle in home networking. By 2003, Linksys had grown to more than 300 employees with more than $500 million in annual revenue; later that year the company was sold to Cisco in order to expand its global reach. Due to his accomplishments at Linksys, Tsao was inducted into the Consumer Technology Association’s Hall of Fame in 2014. Prior to Linksys, Tsao worked in various software programming and system integration jobs. He retired from corporate life in 2007 and remains active in technology through investments and philanthropy. He has also been the managing partner of various family office investment entities since 2003. Tsao has been a longtime advocate and donor in giving back to the community through charitable giving. In 2004 he created the Tsao Family Foundation, which was organized to support religious, charitable, scientific, literary, cultural, and educational causes. The foundation has given millions of dollars in grants to other 501(c) organizations in pursuit of making the world a better place.